No one can deny that many patients can now suppress their HIV with effective antiretrovirals (ARVs) that cause fewer side effects. However, a vulnerable and often forgotten minority of people are still struggling with multi-drug resistant HIV (MDR-HIV) while they anxiously wait for access to lifesaving ARVs that would finally control their viral replication. Although some of these patients may have developed resistant HIV due to lack of adherence or other issues, many of them have been strictly following their doctors’ orders for years. They’re often veterans of drug development research who have accumulated HIV resistance as they repeatedly joined ARV studies or traditional expanded access programs of a single new drug out of desperation to control their HIV viral load. As they signed up for studies that helped companies get their drugs approved by the FDA (U.S. Food and Drug Administration), many of these patients were exposed to suboptimal HIV regimens (namely, functional monotherapy or the addition of a single new active ARV to a failing HIV regimen). Currently, the U.S. Department of Health and Human Services (DHHS) adult HIV treatment guidelines recommend three ARVs be given in combination to suppress HIV. But many patients have HIV that has mutated rendering their virus multi-drug resistant. Those with MDR-HIV cannot construct a viable HIV suppressive regimen with current FDA-approved and commercially available ARVs. A new HIV medication called Ibalizumab may be approved this year for patients with limited treatment options. It has a completely new mode of action, so most patients should respond to it when using it with at least one other active agent. It is different from the entry inhibitor maraviroc (Selzentry, Celsentri) in that it blocks the CD4 receptor on T cells rather than blocking the CCR5 co-receptor. This means it could be effective against virus that uses either the CCR5 or CXCR4 co-receptor. It is a genetically engineered monoclonal antibody administered once every two weeks intravenously. The manufacturer of this biologics product is now providing free access of this treatment option via their expanded program. Talk to your doctor about this option if you have been told that your virus has resistance to nucleosides, non-nucleosides and protease inhibitors. Remember: This product needs to be used with at least one more active drug to which your virus has not developed resistance. Failure to do so will result in resistance to ibalizumab. 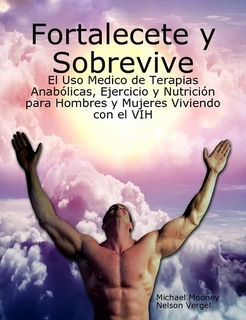 Note from Nelson Vergel: I have been on this product for over 5 years and attribute it to saving my life.